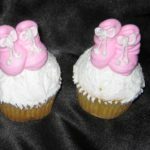 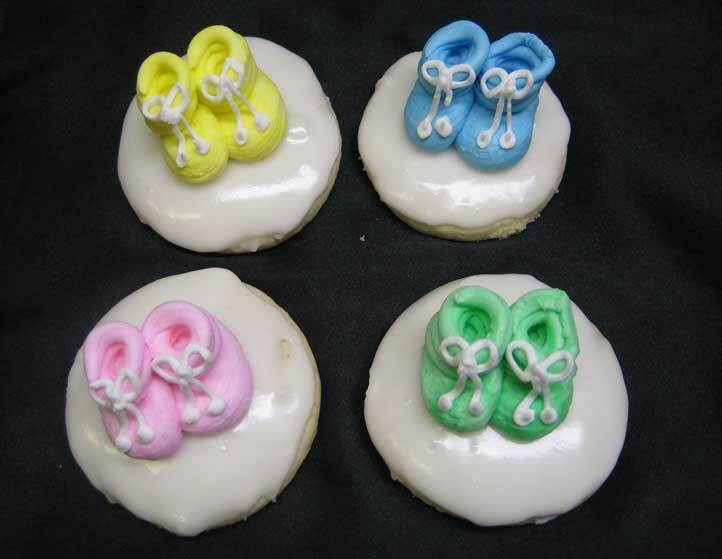 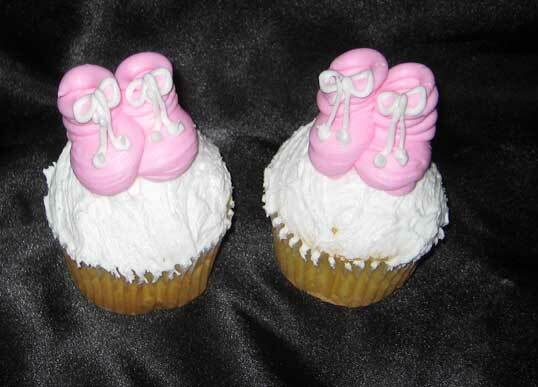 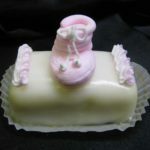 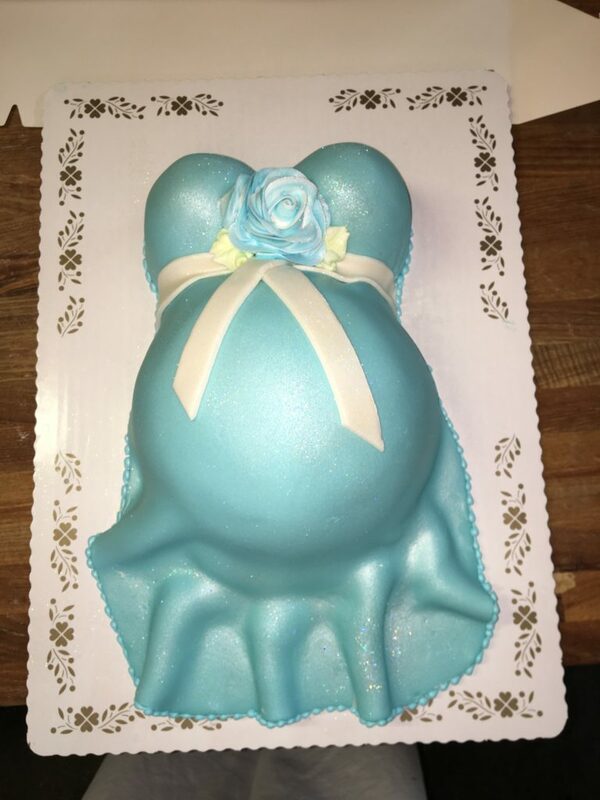 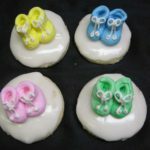 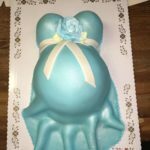 A few samples of baby shower cakes. 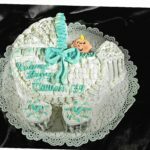 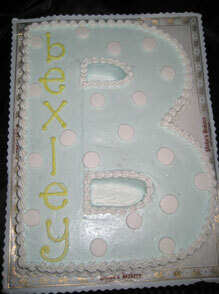 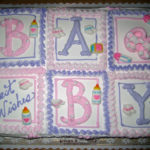 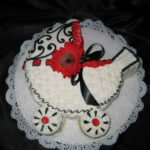 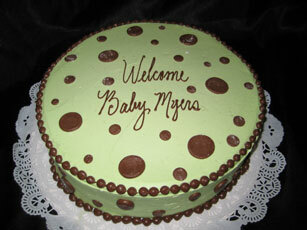 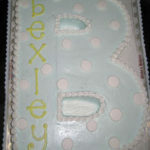 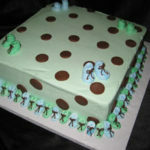 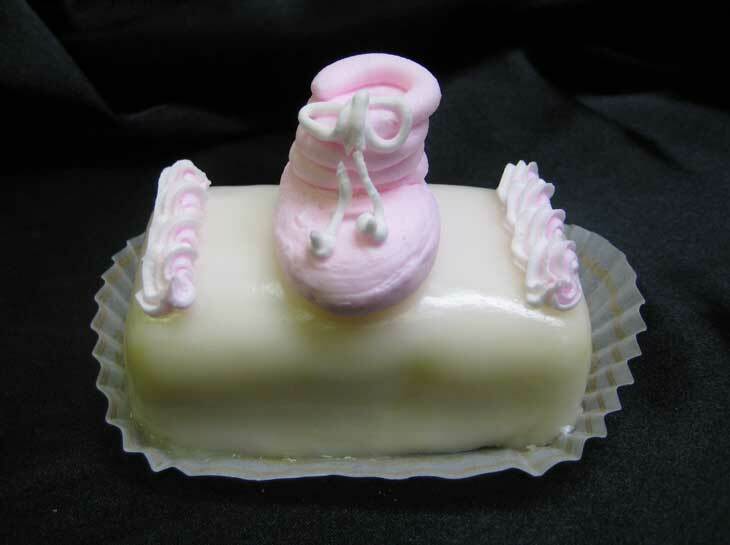 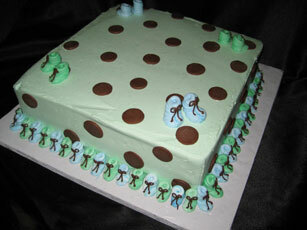 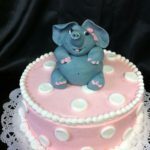 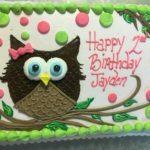 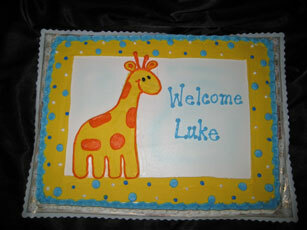 Many cakes are custom designed to work with your party theme. 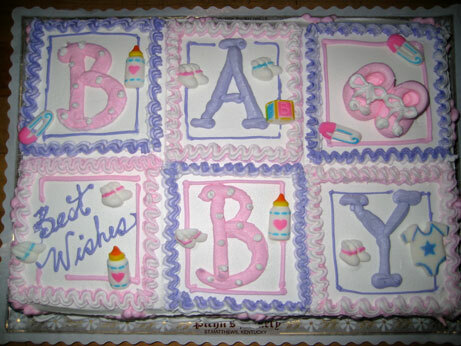 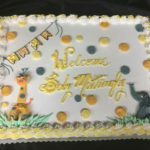 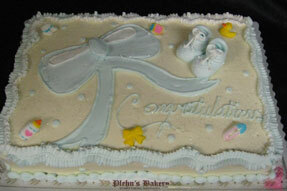 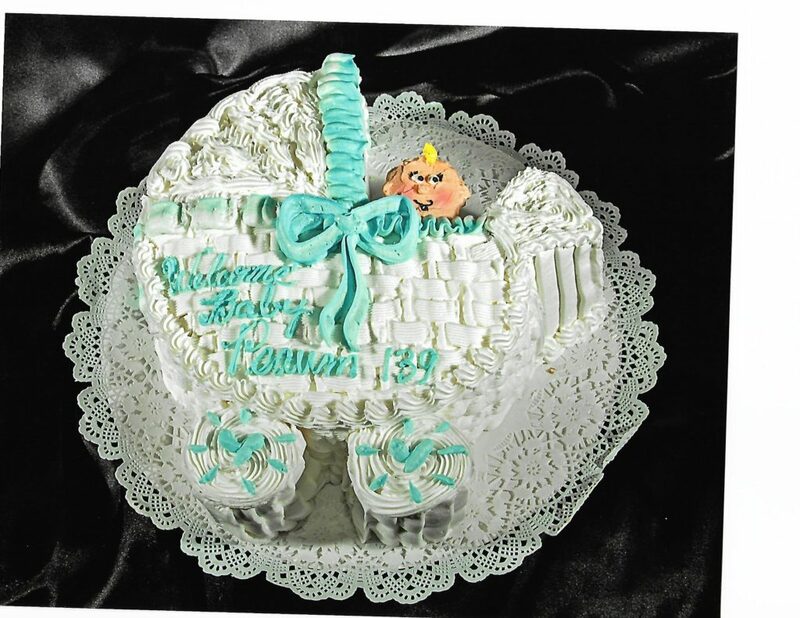 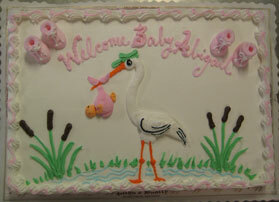 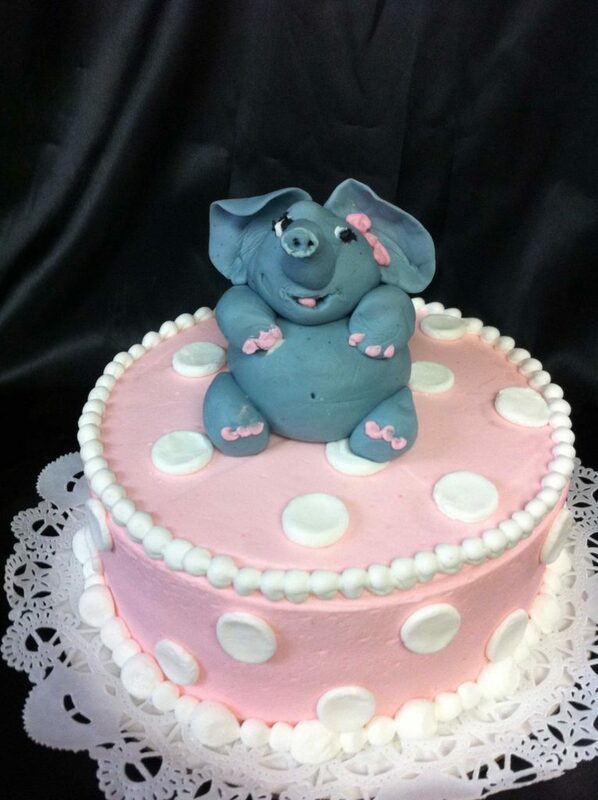 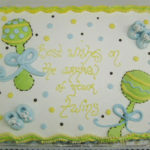 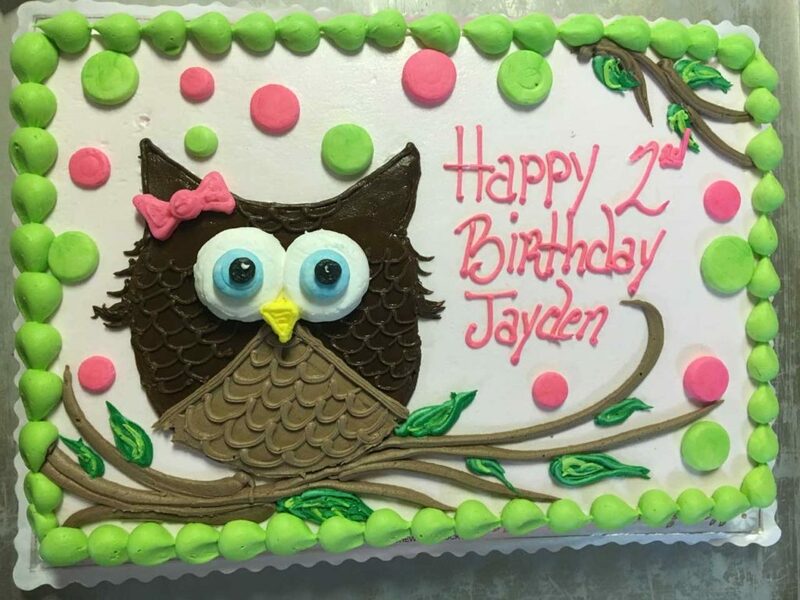 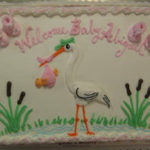 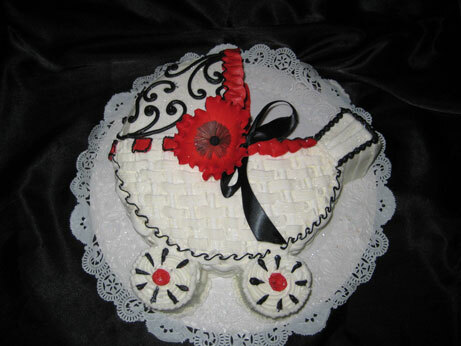 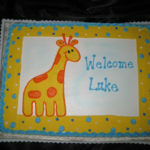 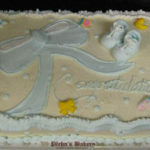 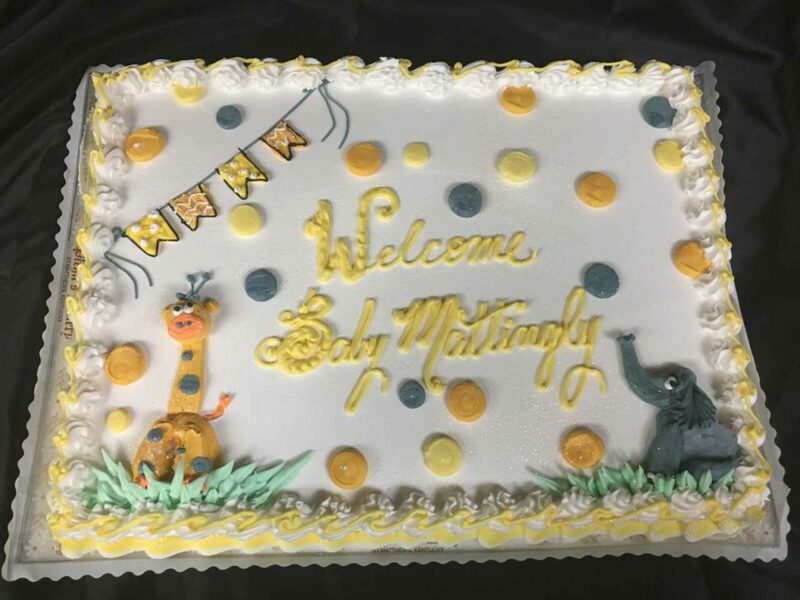 Bring in your invitation, party decorations, or theme and we can work with you to design a custom cake. 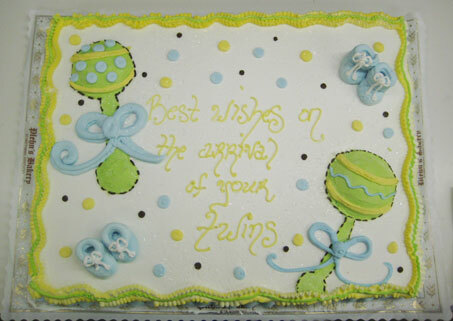 Please note that we have multiple decorators and all work is done by hand, therefore no two cakes are exactly alike.